If you are moving to East Cobb, there are several tasks you will need to do when you get here. These tasks include setting up your utilities, getting a new title for your vehicles, registration of your vehicle and getting new license plates, getting a Georgia drivers license, getting car insurance for your vehicle, and registering to vote. 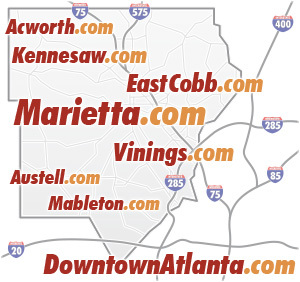 Residents of East Cobb can select from a number of utility providers for most services. For more information, please visit our East Cobb Utilities Directory. Out of state vehicles must be registered within 30 days of residency. You will also need to get car insurance and most will need an emissions test before registering your vehicle in Cobb County. If your vehicle model year is this year, last year, or the year before, an emissions test is not required. An emission test is also not required if your vehicle is an alternative fuel vehicle, a motorcycle, an rv. Emissions tests are $25 or less, and numerous testing facilities are in the area. If your vehicle fails inspection, you must pay to have it repaired and then you can get it tested again at the same facility within 30 days. New residents must apply for a Georgia driver’s license within 30 days. Licenses are valid for 8 years. If you own a home with a mortgage, property tax is usually paid via an escrow account with your mortgage company. If your home is your primary residence, you can apply for the homestead exemption to lower your bill. To register your child for school, visit our East Cobb Schools Directory for a listing of area schools and important links to the Cobb County School District website.